When summer temperatures soar, I often find myself drawn to gritty crime fiction. This 122-page novella (short novel? novelette?) by Marçal Aquino, set against the backdrop of São Paulo, was my first foray into Brazilian noir, and it did not disappoint. Brazil isn't all sun, beaches and jungle, and few cities beat São Paulo for grit and darkness in broad daylight. It makes a fitting backdrop for this little Brazilian page-turner. O Invasor tells the story of three engineers and partners in a construction company who clash when they are invited to participate in a you-scratch-my-back government construction scam. When the majority partner threatens to dissolve the company, rather than go along with the illegal bid, two of them decide to eliminate their problem by quite literally eliminating the one standing in their way, and enlist a professional hitman. What they never imagined was that getting their business partner out of the way was only the beginning of their nightmare, and that getting rid of the hitman would turn out to be their real ordeal. The book opens with the two engineers going to meet with the hitman. With two white-collar guys incredibly out of place, walking into a seedy bar on the wrong side of the tracks, I have to admit that I thought of the movie Horrible Bosses, but Aquino's sordid story soon took a decidedly unfunny, terrifying turn. The writing is simple, concise, and it moves along at a surprising clip. Layers of corruption (well, this is Brazil) are revealed, and a twist at the end leaves you feeling shocked, helpless, and pretty empty. No, this is not the feel-good hit of the summer. Noir fiction (or roman noir) is a literary genre closely related to hardboiled genre with a distinction that the protagonist is not a detective, but instead either a victim, a suspect, or a perpetrator. Other common characteristics include the self-destructive qualities of the protagonist. A typical protagonist is dealing with the legal, political or other system that is no less corrupt than the perpetrator by whom the protagonist is either victimized and/or has to victimize others on a daily basis, leading to lose-lose situation. The creation of this book is a bit of a chicken or egg story, as curiously, the book was published after the release of its film adaptation. In 1997, Aquino had started writing O invasor, when director Beto Brant convinced him to put the project on hold and turn it into a script. It was only five years later that Marçal Aquino would come back to the project and finish it as a novella. The film won the prize for Best Latin American Film at the 2002 Sundance Festival. 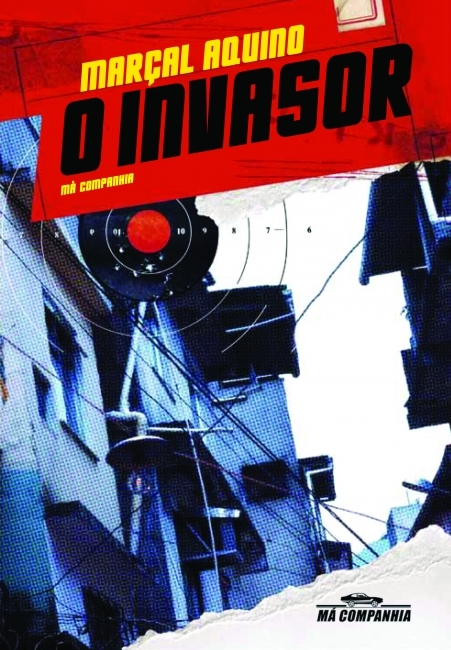 O Invasorwas originally published in 2001 by Geração Editorial, to coincide with the launch of the film. Exactly ten years later, Brazilian giant Companhia das Letras brought it back, under its new imprint, Má Companhia. Má Companhia focuses on republications of cult, "outlaw" books (or, at least, out of print). Marçal Aquino is a screenwriter and novelist from São Paulo. As a writer, he may be best known for his 2005 novel Eu receberia as piores notícias dos seus lindos lábios, which was recently adapted for the big screen starring Camila Pitanga, Gustavo Machado, and Zé Carlos Machado. Aquino is one of the writers who will be in attendance at the 2013 Frankfurt Book Fair as part of the official Brazilian delegation, and he is represented by the Mertin Literary agency.